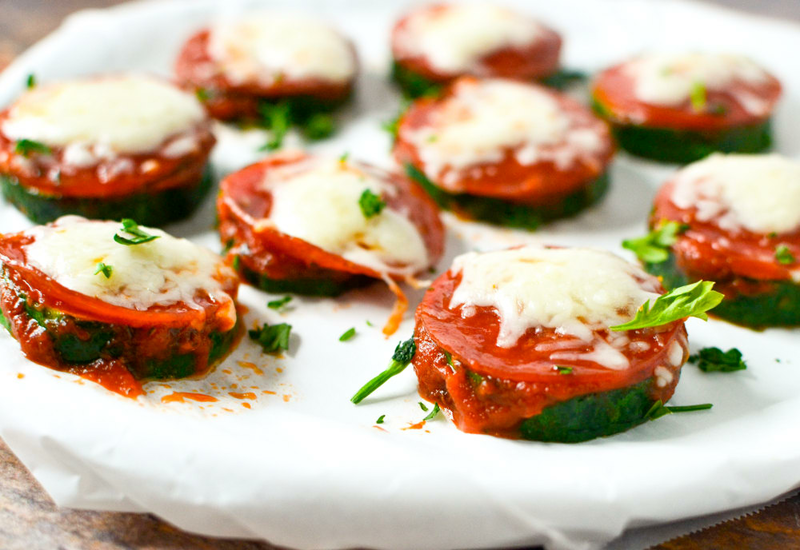 Our quick and easy zucchini pizza bites are the perfect appetizer the entire family will love. Skip the pizza rolls and enjoy this delicious, nutritious finger food for casual parties, game day, or serve up as an afternoon snack. Skip the pepperoni and make this a delicious, vegetarian treat! Per Serving: 52 calories; 4g fat; 2.9g carbohydrates; 3g protein; 6mg cholesterol; 89mg sodium. I made these zucchini pizza bites and they were amazing! This is a fantastic recipe for entertaining guests. It's also a healthy game day appetizer idea. This is my new Friday night fave. I'm not a huge fan of zucchini but I love these pizza bites. Much healthier than the traditional pizza bites/rolls. I used mini pepperonis instead of the regular whole ones. These are really easy to make and taste great. The kids also eat them up like crazy, and you don't have to feel bad because it's not junk food. My kids loved these zucchini pizza bites. I used little mini pepperonis instead of regular sized ones. Make a double batch if you're going to be serving these at a party, they go quick! These zucchini pizza bites were really easy and they were delicious. Would not make these for "dinner", they're definitely an appetizer food. I gave them to my kids and they were still hungry. We did pepperoni, sauce, and a blend of different cheeses.